Bess of Hardwick and the building of Elizabethan England. Through canny choices, four husbands and a will of steel Bess of Hardwick – businesswoman, money-lender and property tycoon – rose from country squire's daughter to one of the richest and most powerful women in England, her wealth taking concrete form in her passion for building and the construction of her four country houses: Chatsworth, Hardwick Old Hall, Hardwick New Hall and Owlcotes. 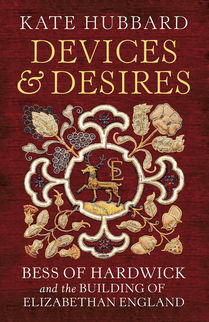 Kate Hubbard examines Bess's life as a builder within the context of the male-dominated Elizabethan architectural world.